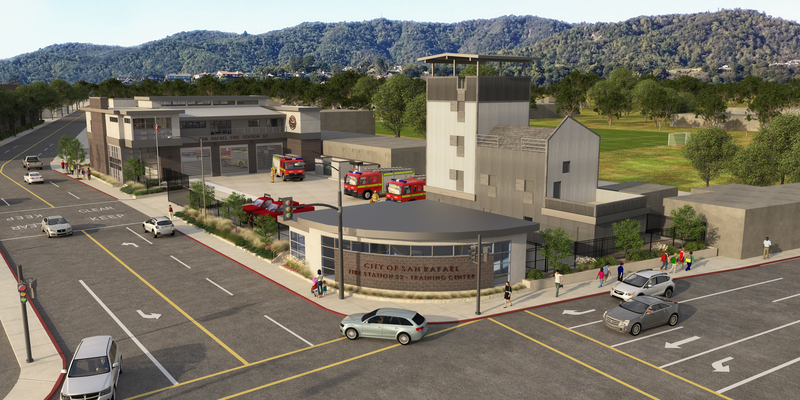 Phase 1 projects, which included Fire Station 51, 52, 57 and the Public Safety Center. on the corner of 3rd Street and Union. training/meetings, CPR classes, and other fire prevention functions. classroom building and fire station buildings. The review and processing of submittals and Request for Information (RFI’s) continued at high volume/pace. Excavation of Footings for Classroom Bldg. Foundation rebar installation at the Classroom and Fire Station Bldgs.